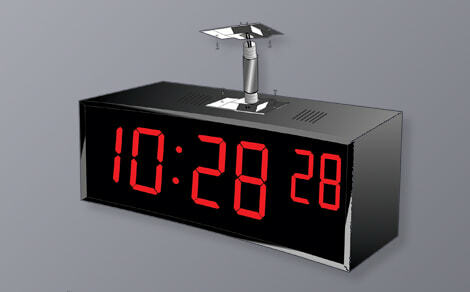 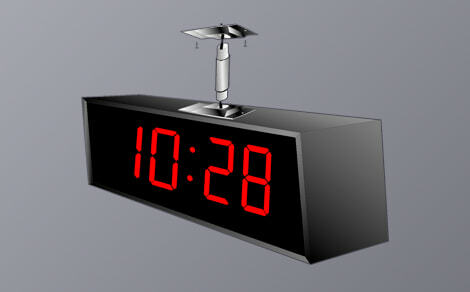 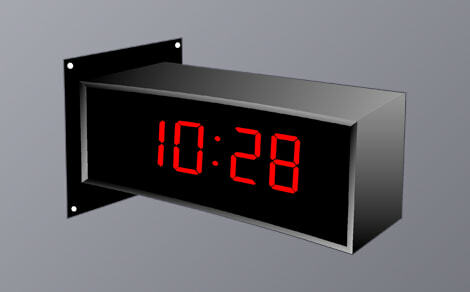 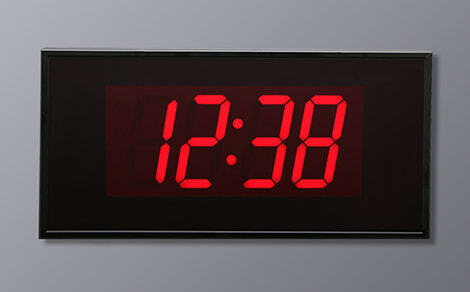 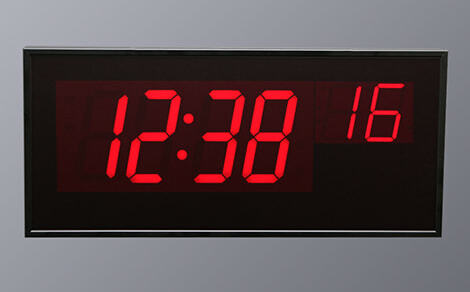 Ceiling Quad Clock - 6 Digit 7"
Digital clocks, especially synchronized digital clocks, keeps any office running on time. Digital Display Systems carries many different types of clocks, perfect for use in corporate businesses, schools, government offices, hospitals or any other facility where accurate time is needed for efficiency. 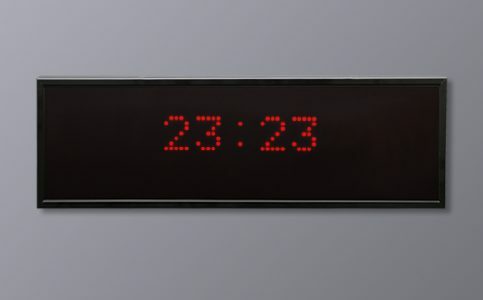 Our digital clocks come in a variety shapes, formats and sizes to fit any architectural requirements and are ready to mount on a wall or ceiling. 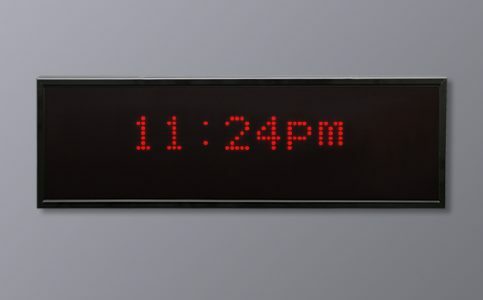 Using LED technology, our digital clocks provide ultra-bright visibility for single-sided, double-sided, and four-sided display. Whether you have a small office or large-scale business, our digital clocks are designed for readability, easy programming and energy efficiency. 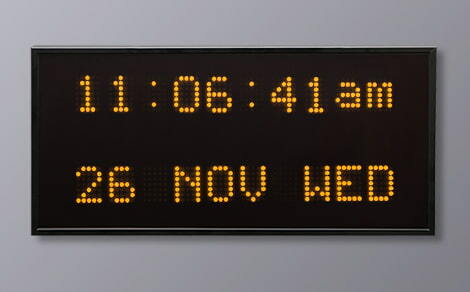 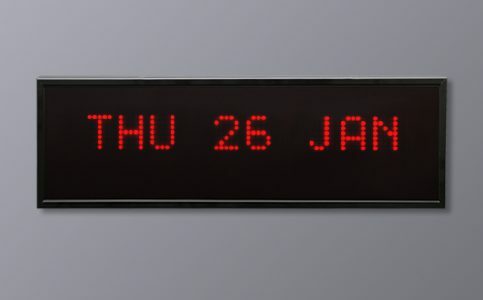 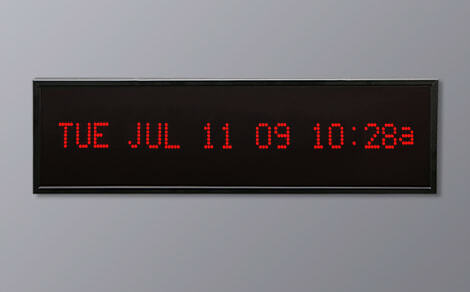 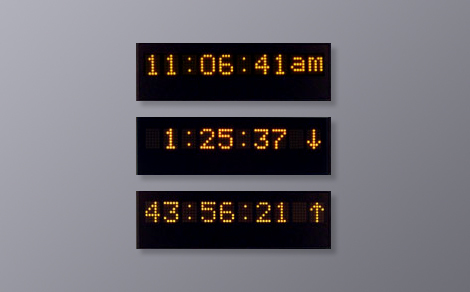 Digital Display offers four different kinds of calendar clocks including a full-month view, julian, alpha or month/day calendar. Using Dot Matrix technology, LED are available in red, yellow, green and blue with character heights ranging from .7” up to 2” and lettering in any language. 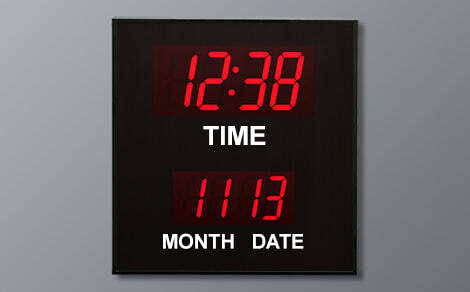 Month/Day and Alpha Calendar clocks are all-purpose clocks for almost every situation including reception, lobbies, offices, and classrooms. 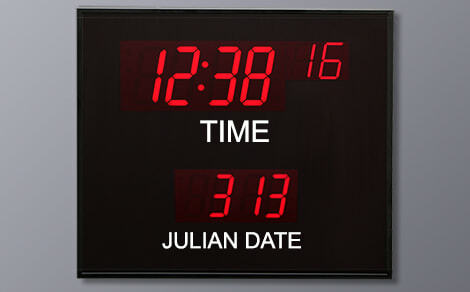 On the other hand, Julian date clocks are best of service for product dating and expiration date calculation for food manufacturers and pharmaceutical companies. 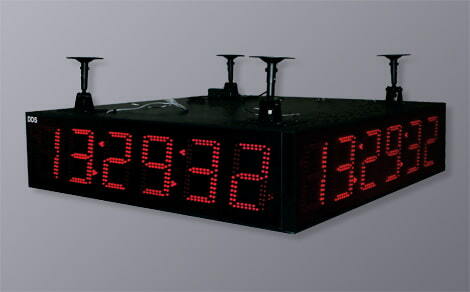 Like a large remote-controlled stopwatch, LED timers be can used to accurately measure time intervals. 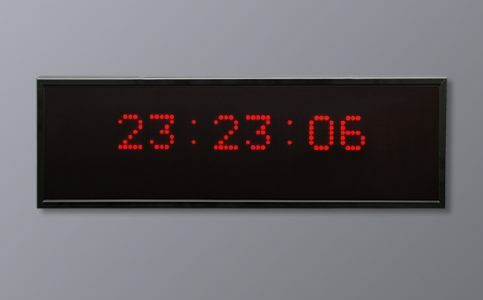 These count down or elapsed count up timers are great for manufacturing facilities, sporting events, schools, hospitals or any other location where stop and go times are needed. 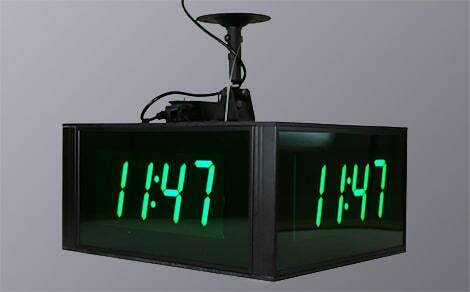 Our specialty product line includes code blue timers for hospitals, debate or presentation count down timers for schools, long-term 1,000 days timers for world games and events, and many more. 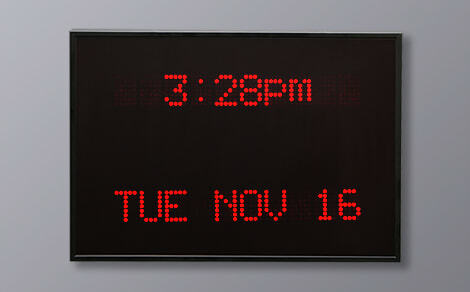 Our multi-function LED displays up to 10 characters in 1.2″ or 2″ alphanumeric digits. 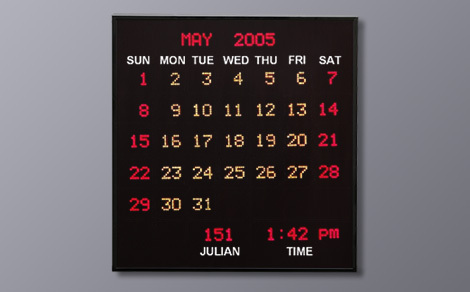 Its compact style and variable date and time format makes it a perfect gift for the small office of any CEO, lawyer, or doctor.